Waitsfield, Vermont is located in Washington County midway between Stowe and Middlebury – in the heart of the Mad River Valley. 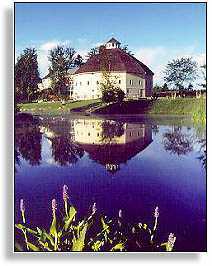 Waitsfield is situated along the Mad River and surrounded by the Green Mountains of North Central Vermont. Waitsfield, Vermont was Chartered in 1782 by General Benjamin Wait. Waitsfield, part of Vermont’s Mad River Valley, is a popular four-season Vermont vacation destination with several outstanding inns and resorts in the area. The Weathertop Mountain Inn, Mad River Glen Ski Area and Sugarbush Ski Resort is located here. Waitsfield is a year-round tourism center offering a multitude of outstanding lodging and dining venues, excellent skiing, hiking, hunting, and fishing. The Mad River Valley area is a popular Vermont wedding destination, and offers a unique blend of country inns, lodges, restaurants, and nightclubs to enhance your wedding festivities. Major manufacturers in Waitsfield Vermont include specialty foods, high tech products, and professional services. Points of interest include: Sugarbush Ski Resort, Mad River Glen Ski Area, and the Natural Bridge of Stone. 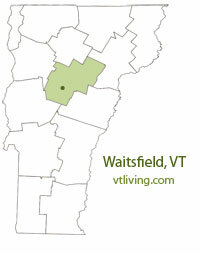 To share Waitsfield, VT information, contact us. Learn more about advertising in VTLiving.